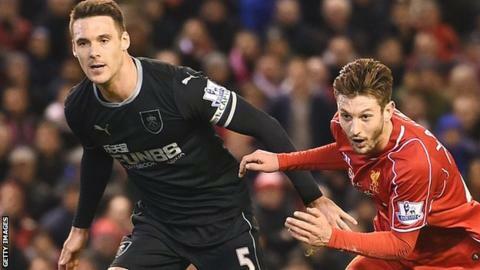 Derby County manager Paul Clement has confirmed his interest in Burnley defender Jason Shackell and wants to complete a deal as soon as possible. The 31-year-old centre-back made 49 appearances for Derby in 2011-12 after joining from Barnsley, before moving to Burnley in the summer of 2012. Rams manager Paul Clement told BBC Radio Derby: "I don't know anymore news than it's ongoing. "Hopefully it can be brought to a conclusion sooner rather than later." The Rams won 1-0 at Northampton Town in a friendly last weekend and followed that up with victory over SV Meppen by the same scoreline in Germany on Tuesday night. Clement is utilising different tactical approaches in pre-season and believes adaptability will be important once the Championship season gets under way. "I'd like to have couple of systems and choose those based on whose performing well, the opposition we're playing and whether we're playing home or away," the former Real Madrid assistant boss said. "We want to be comfortable with a couple of systems and have that adaptability at the start of games, to prepare going into fixtures and also to change if required."